At some point, we have all wanted to ride a snowmobile. Most of us never get to live this fantasy due to the price point. But even those of us who do get to take a ride may feel constrained by the fact that most models only fit one or two. Wouldn’t it be more fun with friends? 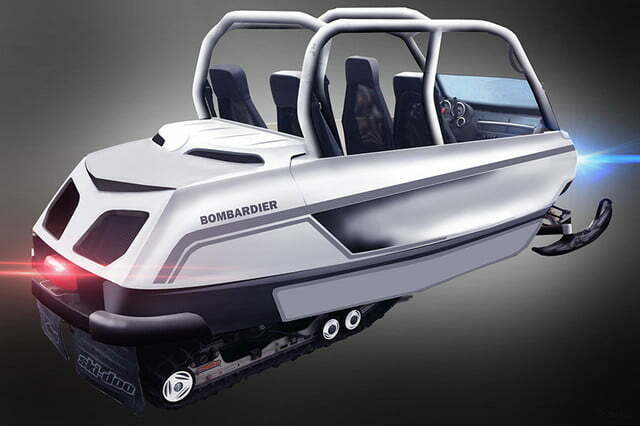 Canadian company Imaginactive has developed a new Whitefox concept for a snowmobile that seats four. 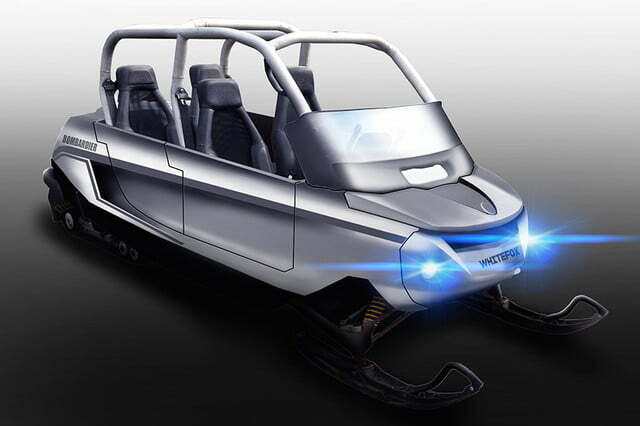 Families and friends will be able to cruise around in snowscapes as though touring in a car. 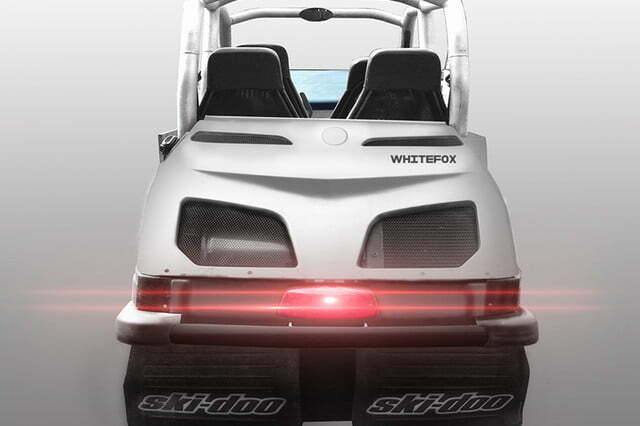 Powering Whitefox is a 165-horsepower Rotax 850 E-TEC engine. Similar to the paddle shift of a racecar, the throttle is pulled with your right hand and the brake is applied with a left-hand lever. While this isn’t marketable to everyone, it is definitely geared toward families who take weekend trips to a winter cabin. The whole family can fit in one sled while the gear is safely towed behind. Imaginactive intends to fit many modern comforts into the vehicle. Seats can be heated using the engine’s cooling system while hot air can be blown onto the rider’s legs. While riders will still be open to the elements, these sorts of amenities will help them forget that. 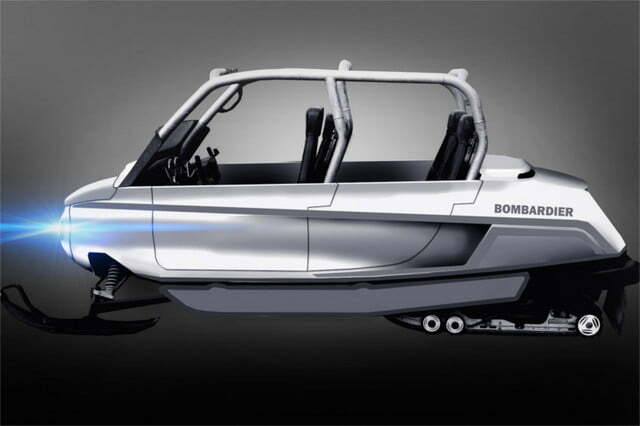 Other features include power steering and pop-down wheels on the skis. This allows easy control on hard surfaces, important when transitioning on and off the road. The body is formed out of high-density polyethylene while the frame is made of a lightweight aluminum. Currently, Whitefox is still nothing more than a concept, but creator Charles Bombardier would like to make it a reality. His estimated development costs for the project are $6 million plus the tooling. It will be awhile before we hear anything come of it, but for now, it remains a cool concept we can dream about for the future.